The Dean Family welcomes you to our Daystar Farms website. Daystar Farms is a registered Aberdeen – Angus breeding operation, which is operated by 3 generations of the Dean Family. The Dean Family has been breeding purebred Angus cattle for 25 years. We select AI Sires for their marbling, growth, easy calving and good temperament. We have quality bulls for sale “who are ready to work.” We also have replacement heifers which are either bred or unbred. Our many commercial cattlemen buyers are extremely pleased with our breeding stock for use in their operations. 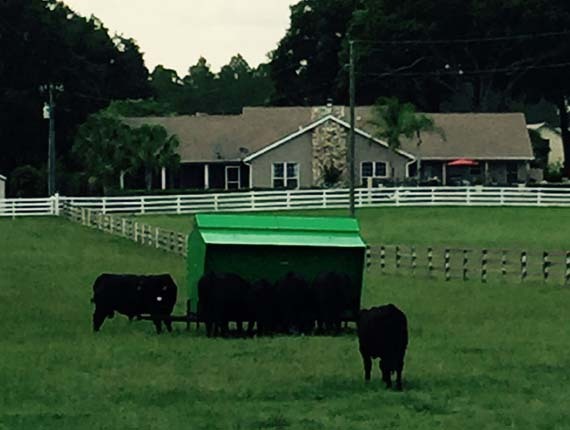 Raised in Florida, heat tolerant and consistent “no worry” production are the hallmarks of our purebred Angus cattle. Again, we thank you for reviewing our website information. If we can be of further assistance to you please contact us through this website or one of the phone numbers provided. We would be happy to have you visit our farm to view firsthand our quality breeding Angus cattle.